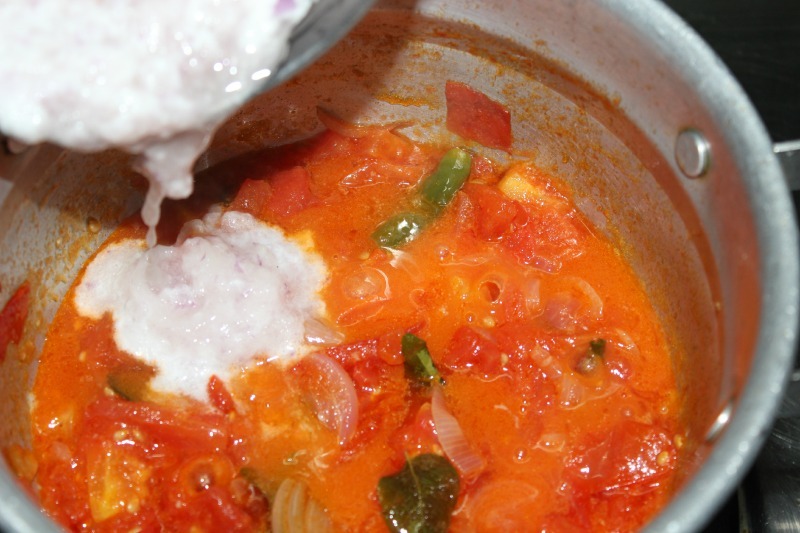 Tomato kulambu is made with just two vegetables tomatoes and onions,when i run out of vegetables i immediately make Tomato kulambu for breakfast and lunch.The speciality of this kulambu is mainly its tangy taste which makes it go well with Idly,Chapathi and Steamed rice. 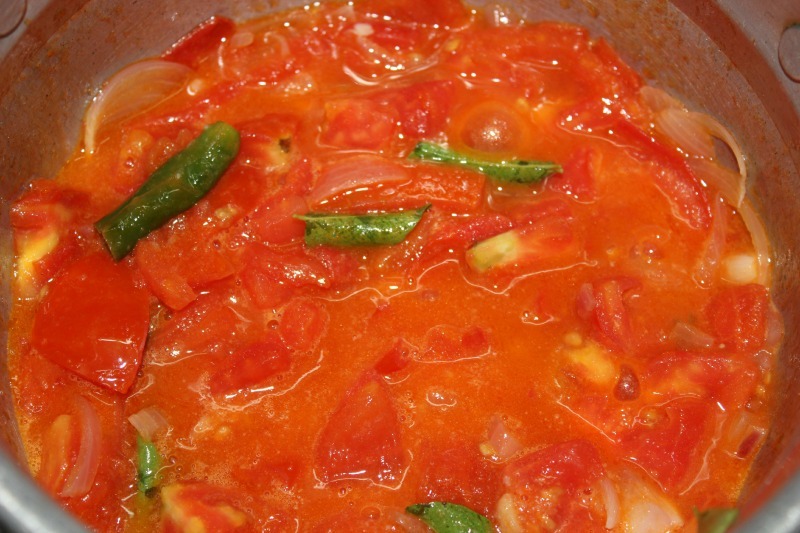 Heat oil in a pan/deep bottomed vessel,add the green chilli and curry leaves.Then add the onions and saute until they become transparent,now add the chopped tomatoes and saute for 10-15 mins in medium flame until they become soft and mushy. 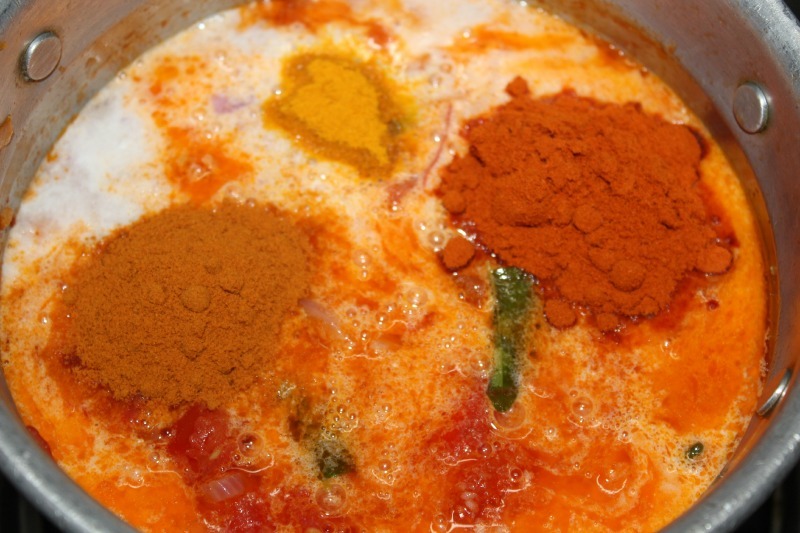 Now add the turmeric powder,chilli powder,sambar powder,salt and bring to boil. 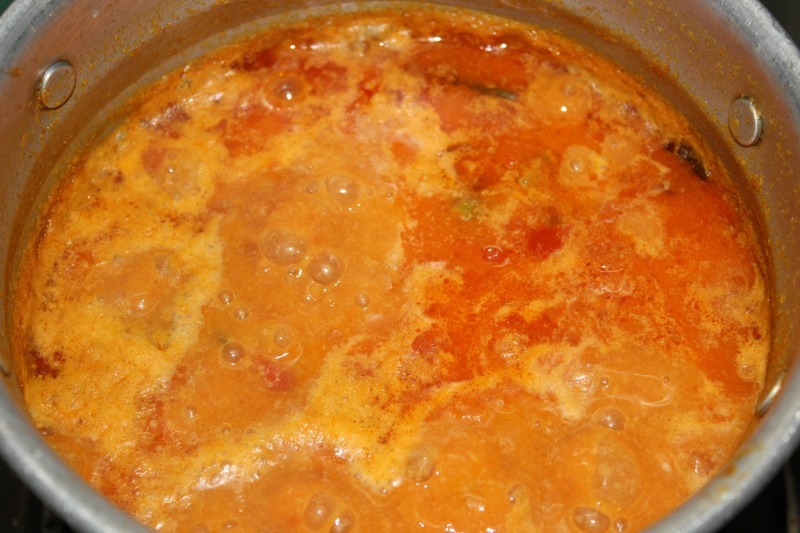 When it starts to boil simmer to low flame and cook for 10 mins. 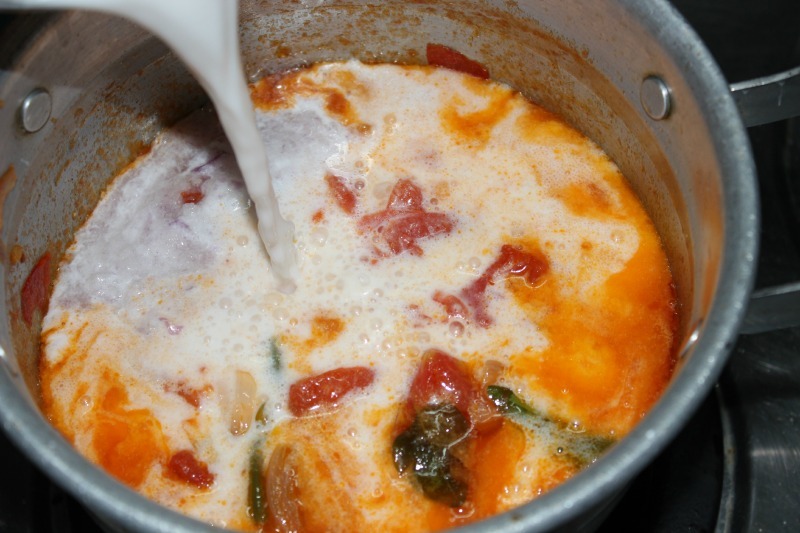 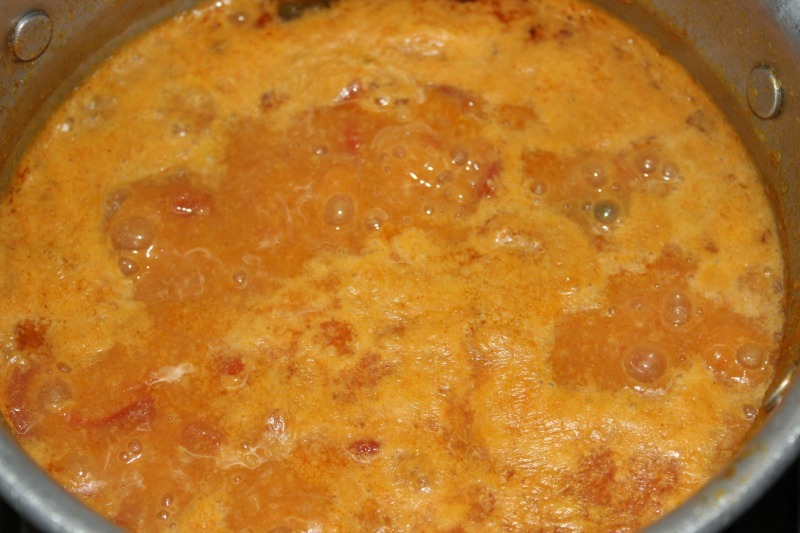 When the Tomato kulambu is ready,the oil starts to separate. 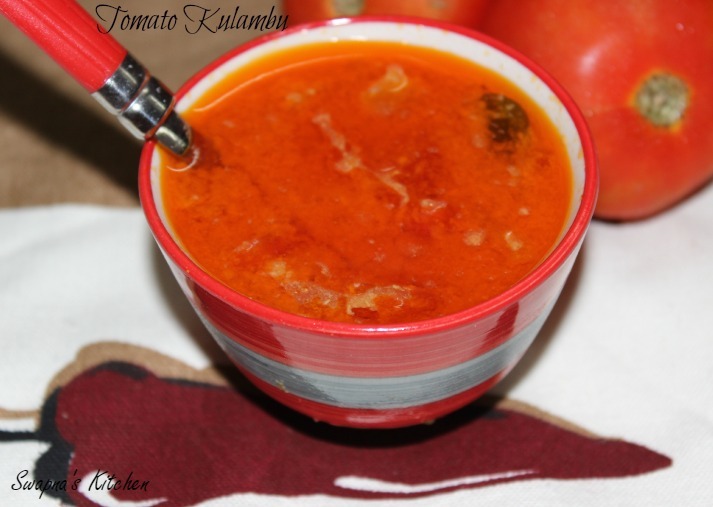 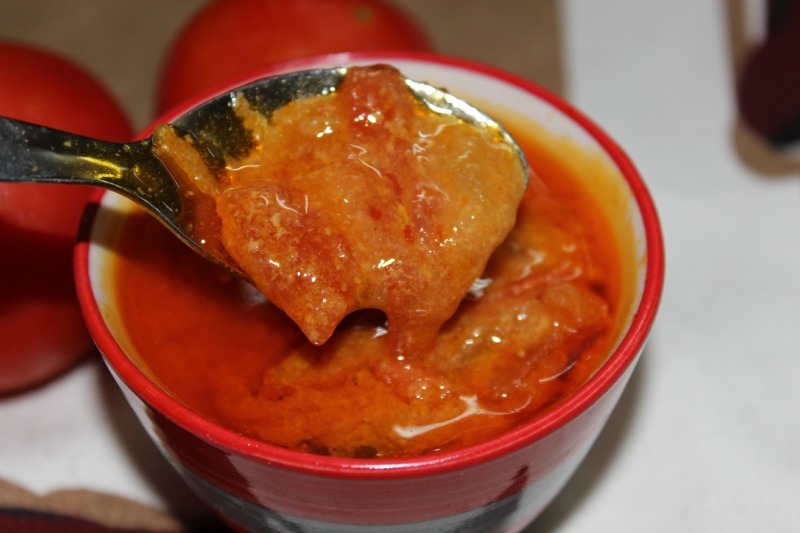 Serve the Tomato kulambu/Thakkali kulambu hot with Steamed rice,Idly or Chapathi.